Arizona State University and Mayo Clinic researchers have found that one type of clay, Oregon blue clay, may help fight disease-causing bacteria in wounds, including treatment-resistant bacteria. In laboratory tests, the researchers found that the clay has antibacterial effects against bacteria such as Escherichia coli and Staphylococcus aureus, including strains such as carbapenem-resistant Enterobacteriaceae and methicillin-resistant Staphylococcus aureus (MRSA). 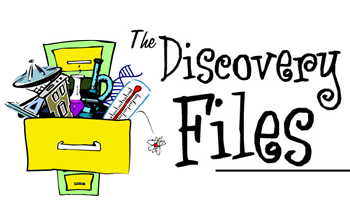 I'm Bob Karson with the Discovery Files, new advances in science and engineering from the National Science Foundation. (Sound effect: ancient music) An ancient practice of applying mud or clay to heal wounds is getting some new attention as a modern way to fight antibiotic-resistant bacterial superbugs. Arizona State University and Mayo Clinic researchers have the latest dirt on one specific type -- Oregon blue clay -- which really is blue and how it and others with similar characteristics may help fight bacteria in wounds, including highly antibiotic-resistant strains. Turns out the clay actually attaches to the disease-causing bugs. Bonus! It also goes after the protective coating bacteria may form on surfaces that helps shield them from our best meds. In lab tests, the team found the clay to be effective in killing e-coli and staph, including an extremely resistant nasty little bugger called MRSA (mur-suh) as well as others. Before you go out and scoop up some mud to slop on your knee scrape, (Sound effect: glop!) the researchers caution that not all clays have these properties. But the goal is to design new minerals that kill drug-resistant bacteria by the mechanisms taught to us by the natural minerals. In other words, to reproduce their: "mud-icinal" properties.